I have a dresser that I’ve been dragging around western Canada since 1975, yes..1975! It was part of a bedroom set that was a birthday gift from my parents and for whatever reason I just couldn’t let it go, instead; it sat in the basement collecting dust. I finally decided to paint it and include it in my craft room for supply storage but some of the old brass handles were broken and one was missing. I decided if I’m giving it a make-over (who knew handles were so expensive!) then I would get creative and come up with something unique and affordable and this was a great solution! 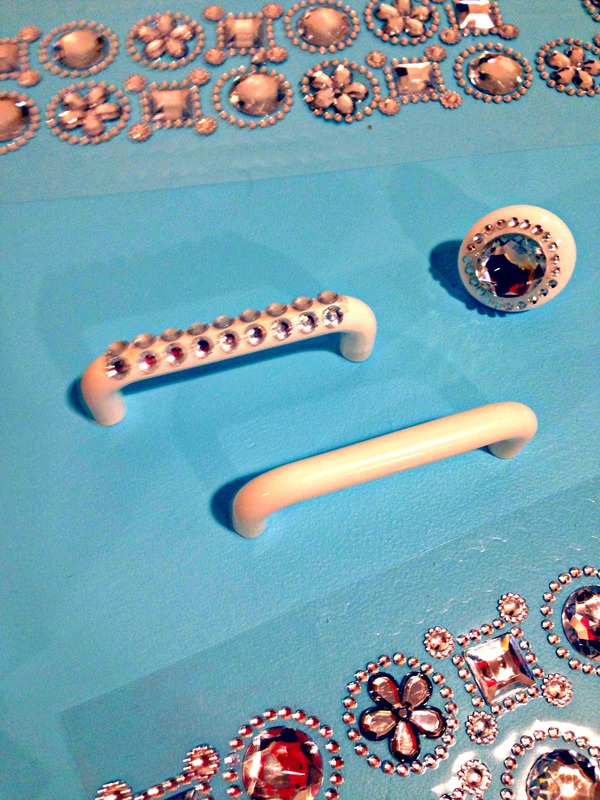 Add self stick adhesive embellishments to drawer handle and knobs for a bit of texture and sparkle. I was amazed how well they stick. I was prepared to use clear glue but so far, no need. I thought I might need to use glue but they stuck on firmly – so far so good! The nice thing about this is, if you change your mind you can remove it with no damage, muss or fuss. I’m so happy I was able to retain a meaningful old piece of furniture by giving it a new look, a new purpose and some new sparkle with these easy DIY handles! 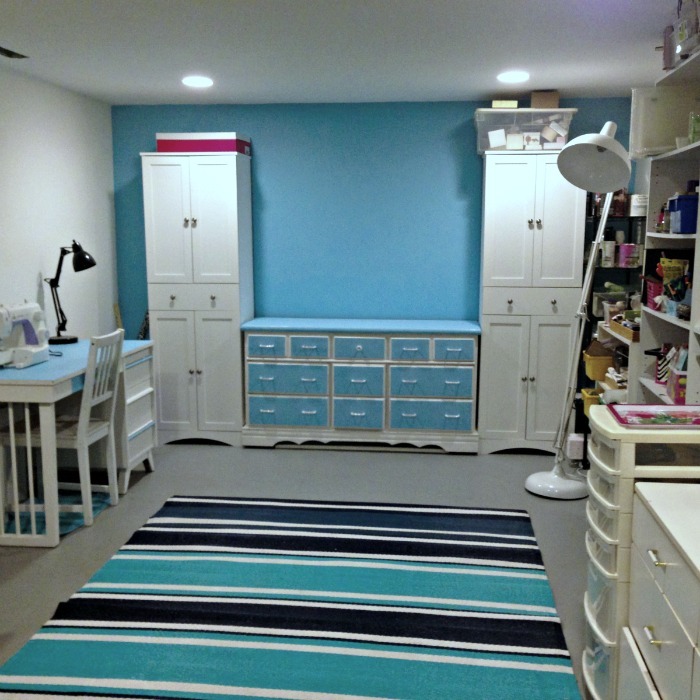 Check out the my full craft-room reveal with great planning advise for how to organize a multi-purpose craft room! I love this! Sweet project!